Khayer Trek has been one of the less crowded, demanded and most loved trekking trails in Annapurna region. It is one of the exotic treks in Nepal. It is newly introduced trekking trail in Annapurna region. While trekking to Khayer Lake area, you do not only explore the mixed of culture of the ethnic people living in the area, but also have excellent views of Himalayas including of Mt. Dhaulagiri , Mt. Annapurna I, Annapurna II, Anapurna III, Annapurna south , Mt. Machhapuchhare (fish tail), Hiunchuli, Lamjung himal, Tukuche peak, Nilgiri among others. You will have chance to explore the traditional villages, incredible scenery, infinite and diversity of culture, spectacular views of silvery mountains and tempting views of river and exotic valley. 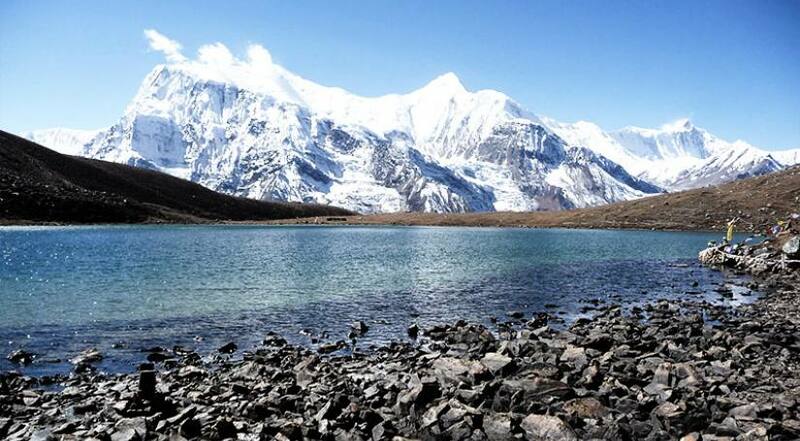 Subsequently, you also make excursion to the Khayer tal (lake situated at western part of Nepal in Annapurna region), as it is recently explored route, there are many places in the area which are yet to be explored, therefore why this trekking is defined as untouchable destinations by the trekkers. The Khayer lake, this beautiful and tranquil lake is the key attraction of this area, moreover, you can explore the flora and faunas including the colorful rhododendron forest that blooms in spring. According to Himalayan Joy Adventure itinerary trekking begins from Phedi close to Pokhara and via Dhumpus, Tolka, you cross Jhinju Dada, Tadapani and then Bhainsi Kharka the trail continues to Jaljala and then Ghorepani and finally at Khayer lake and return back from same route to pokhara and subsequently to Kathmandu. Khayer trek is one of the great option for tourist who have limited time but want to explore mountain in less crowd and quiet environment with incredible views. Himalayan Joy Adventure created 10 days itinerary for Khayer Trek but we are flexible to create tailor itinerary according to your time and duration comfort. If you have any question about the trip please feel free to contact Himalayan Joy Adventure office in Kathmandu. 03 Days Kathmandu to Pokhara 820m./2690ft.